Now, everybody knows that one of the reasons to visit Paris is the exquisite food here. After all, it is the gastronomy capital of the world, the kind of place befitting of its very own food lovers guide… The city itself has thousands of talented chefs and cooks coming from all over the world to refine their skills and elevate their food right here in Paris. That means that there are a lot of things to discover and taste around the city. The famous terrines, patés, baguettes, cheeses, and wine – oh la la! Fortunately, there are some sweet hidden gems in Paris too! Here is INSIDR’s selection of the best food delicacies in Paris for you! Bon apétit to the sweet tooths among you! Looking for more local spots to explore when you visit Paris? Make sure you get yourself a copy of our 2019 INSIDR Free Paris Travel Guides! KL Patisserie is basically a piece from the dessert heaven. The whole shop is such eye candy that you can’t stop staring at all these colourful, sweet and delicious creations. Pastry chef Kevin Lacote works in close quarters with his team to serve these pastries that are made with the very highest quality and most seasonal of ingredients. KL Patisserie is opened in 2016 and gained a huge success since then. The pastry now is one of the favorite local stops for both Parisian residents and travelers from all over the world, a must-do if you are on the hunt to find out just how good food can really be in Paris. Chef Lacote works his magic to make the finest of any kind of sweet treat food that you are likely to find here in Paris. 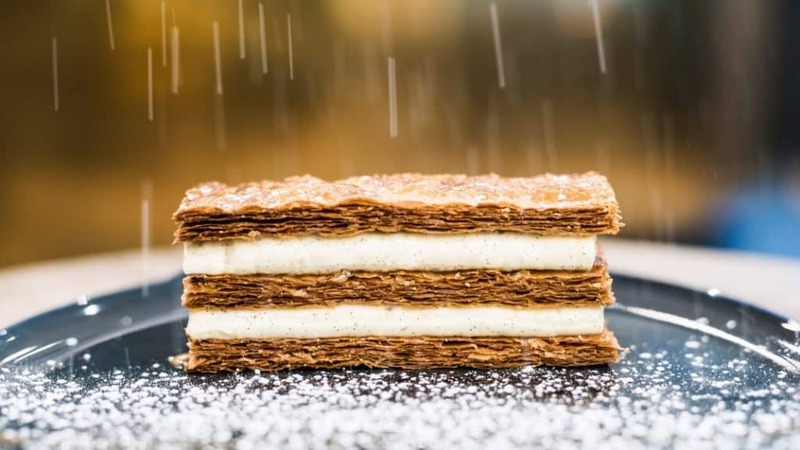 It is hard to resist those sublimely well-crafted éclairs that feature on display, those three-layered millefeuilles “monté minute”, the Kara Damia “the pastry signature of the chef”, and not to forget the delectable KL Churros! Don’t forget, you can always order a custom-made pastry cake here as well – which might be a good choice if you are visiting Paris close to your birthday or anniversary! You can also take pastry classes at KL Patisserie so that you yourself can add to the artistry of food in Paris. Pastry chef Kevin Lacote will take you on a journey and teach you how to prepare classic French pastries like the macaron, chocolate souffle, seasonal tarts, and pate a choux! Each class takes about 2- 2.5 hours with a maximum of six participants. You will be taught how to bake the specific pastry and at the end, you can take it home with you and enjoy with your family so that they can experience what food is like in Paris as well! Have you ever heard of a sweet called canelé? In case you haven’t, you should come on over to Aux Deux Canelés and try one – or maybe more! This lively little shop, a wonderful example of what food culture in Paris, is located between the 2nd and the 11th arrondissement, just a few minutes’ walk from the famous Les Halles and also the Notre Dame Cathedral. Aux Deux Canelés is a collaboration of two adventurous travellers; Aude and Aude! Aux Deux Canelés is dedicated to every type and aroma of canelés. A canelé generally includes flour, butter, sugar, milk, and egg yolks and is soaked with rum and vanilla syrup. The outside of these beautiful creations is a perfect caramelized dark brown colour, while the inside is fluffy and light yellow. It is the perfect combination of how these basic ingredients can turn into something very delicious. However, this cozy shop offers you more than a narrow taste of the best food in Paris. First of all, you can have both sweet and savory canelés. The box combinations of canelés include traditional ones but also very innovative styles as well! You might start with a sweet one and then find yourself quickly moving onto a very different one with red peppers and anchovies! Just so you know, these yummy things are super addictive!! As you will no doubt already know, the pastry scene in Paris is quite extensive and very colourful. Le Fondant Baulois is one of the most delicious characters on the food scene in Paris. Their signature cake is Fondant Baulois, which comes with a delightfully thin meringue crust on top. The interior of the cake has a soft fondant-like texture, while the taste delivers a kick of caramel and salted butter which perfectly balances the aromas. The cake is currently sold in classic, organic and gluten-free form. The cake can be kept at room temperature for a number of weeks, which gives you the option of taking it on the plane home with you! The brand was established over 35 years ago, at which time they were delivering their food to their customers in Paris via other retailers. However, the reputation of their signature chocolate fondant cake grew famous! In 2008, they opened their first shop in Paris, while they now have two locations. The artisanal pastry production doesn’t only stop with Fondant Baulois of course! Other famous French foods are also available in their shops. Le Gateau Nantais is a typical Nantes cake which is an almond-based genoise topped with a rum icing. There is also the Ze Cake, a traditional cake with candied fruits and glazed with rum-based syrup. It is hard to leave the shop without experiencing all the traditional tastes of France that are on offer. 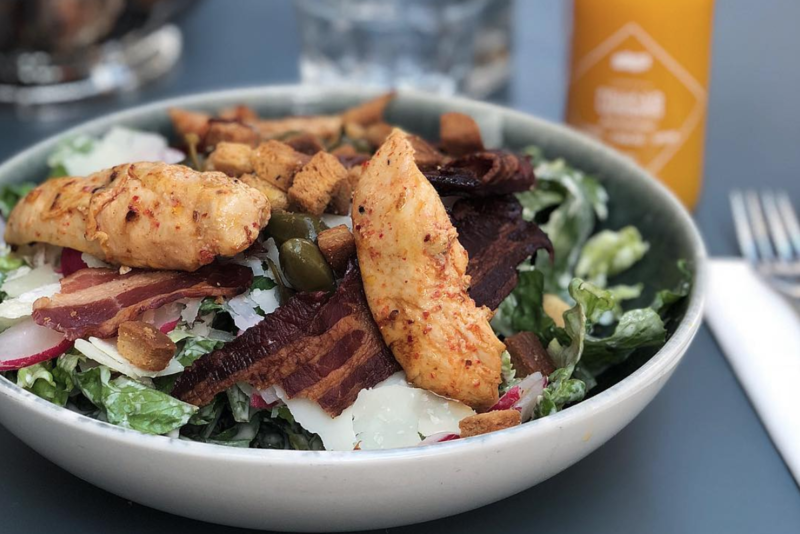 Make time for yourself and stop by Le Fondant Baulois so that you can try some of the very best French food right here in one place in Paris! I bet you’d like to grab some gourmet food products while you are in Paris, right? And probably settle down to lunch with them or venture out for a picnic? Well, La Maison Plisson is the place to be then. It’s the perfect combination of a bistro-style eatery and a gourmet store with many carefully selected items of food. The eatery serves food during breakfast, lunch and dinner, all with different menus. 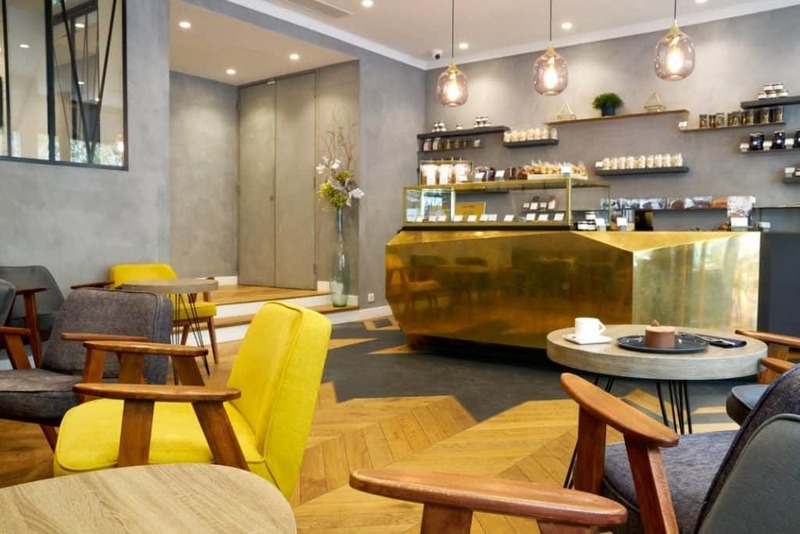 You can grab some baguettes, croissant for takeaway, or simply sit down and enjoy their variety of breakfast dishes like granola mixes, viennoiserie, brioche or try their cheese and deli boards with a glass of wine! 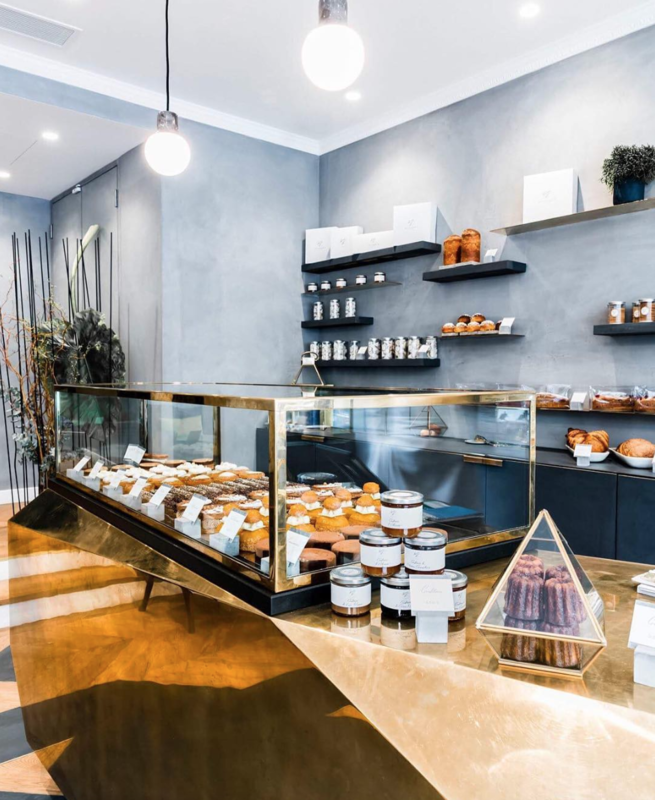 La Maison Plisson focuses on health and sustainably sourced goods, with fresh produce being a core component of the food on offer in store here in Paris. The items sold in the shop are carefully selected to make sure the high quality. You will soon realize the products here are mostly local ones. Here at La Maison Plisson, there is no place for the food items produced without attention, passion, seasonality and delicious taste. There are different parts in the shop, all serving different kinds of food; cold meat cuts, a variety of cheeses, both sweet and savoury pastries, and then there is also a bakery, packaged products, and other fresh produce. If you’d like to stop by in the morning, you will experience the amazing smell coming from the baked yummies like their baguettes or croissants. La Maison Plisson is a great crossover of an eatery and a grocery store. Don’t forget you can always grab authentic French products from here as a travel gift as well!